I was just wondering, has anyone ever used a mountain bike to shorten the journey to a trig? Are there some pillars out there where the use of a bike would be recommended? I've often cycled in to the cairngorms to shorten the walks to the crags but I know there are some places where cyclists are shunned for "ruining trails" and "mowing down" good honest people. 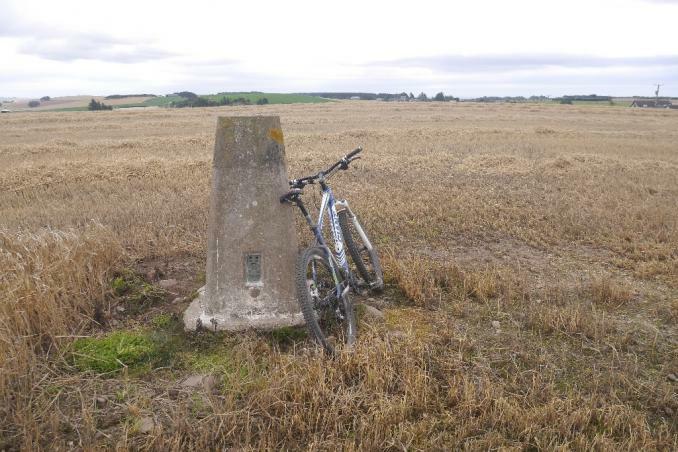 The main issue of using bikes (mountain, cyclo-cross or whatever) to access Trig points is using them inappropriately on footpaths and/or Open Access land, which as a general rule forbids cycles any sort of access to either. Strictly speaking, in England and Wales, cycles should be used on public roads (not motorways), byways open to all traffic, bridleways and restricted byways - all clearly marked on an OS map. The main issues are cyclists persistently churning up footpaths and expecting people on foot to give way to them when actually the law dictates that cyclists should give way to pedestrians (on bridleways). 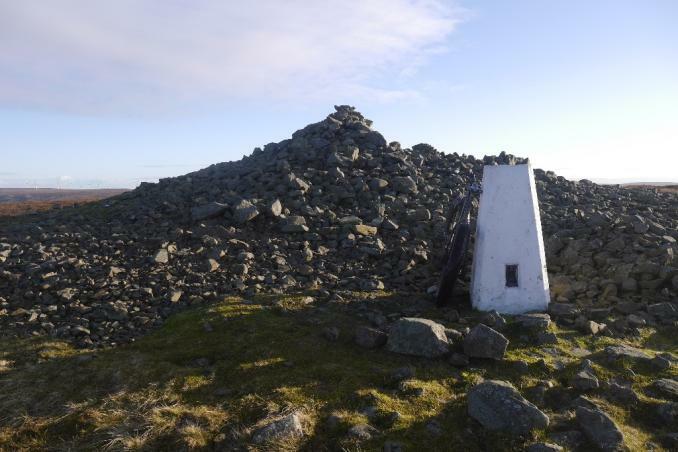 Having said that, there are some famous hills that you could bike up along the bridleways................. Helvellyn, High Street (Lakes), Snowdon, Ingleborough (Yorkshire), The Calf (Howgill Fells) etc and an awful lot you can get pretty close to if you're prepared the leg it the last couple of miles or so. Despite my original post, I am also not keen on mountain bikes tearing up the footpaths and have had my fair share of having to dodge then when they come hating down past walker's, however it is good to know that fit those of us with enough common sense and respect that bikes can be useful in shortening walls to trig's where used appropriately. Also, I figured they would also be ideal for getting between trig points to avoid the hassle of dutifully back and forth on country roads etc struggling to find parking etc. None of that nonsense about footpaths here, and I use the bike to get to quite a few trigs or getting close in to them. Handy when walking is extremely painful. Don't care what your mobility issues are - footpaths are for people on foot only - the clue is in the name. Your welcome, enjoy your trigging. No, I think you'll find that THIS is the Law in three quarters of the countries that make up the United Kingdom - https://www.gov.uk/right-of-way-open-access-land. I have no prejudices against people with genuine disabilities but I think your attempt to justify breaking the Law and causing irresponsible environmental damage rather sad, if your happy with yourself with that so be it. In the context of access to land, raising the objection that a particular action is "breaking the law" is to lose the argument. Otherwise, please keep it civil gentlemen. Thats nice, but I and the OPs Cairngorms live in Scotland. No one gets hurt, no laws broken. Back to the OP: the private road network in the Highlands is growing, a source of controversy. As a result it is often possible to save a many kilometres of walking with a bike and you will usually find a pile of parked bikes at the foot of popular remote hills. Take care to have the right gear for routine repairs with you... walking out pushing a knackered bike is hard work. Just remember the ethos is very different and you will have a much better visit if you leave the restrictions of the southern half of the island behind, relax and enjoy the freedom.